Boys in forts; just one of the fabulous parts about camping. The fact I had to apply sunscreen yesterday just underscores the AMAZING fact of Alaska’s current weather, which is perfect for camping. I mean, glorious sunshine-perfect temperatures-beautiful scenery-kind of perfect. 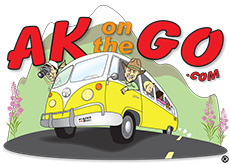 AKontheGO is ready for camping, and I bet many of you are, too, which makes yesterday’s article in the Anchorage Daily News very timely. 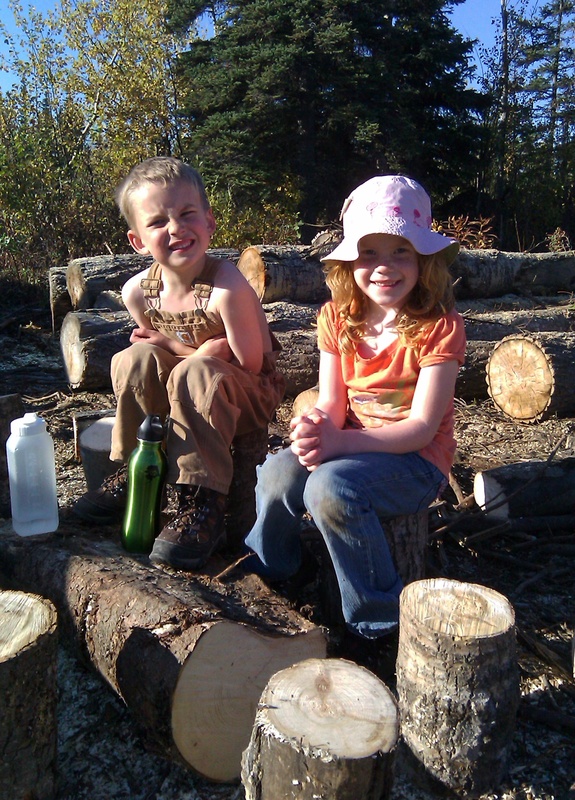 Camping with kids in Alaska can be one of the most joyful experiences parents could ever hope to achieve with their offspring. I hope I captured the essence of that joy in the piece, along with a few nifty tips and destinations I believe offer a ton of family-friendly activities. Enjoy this stroll around Alaska’s campgrounds with me, and chime in with your favorite. 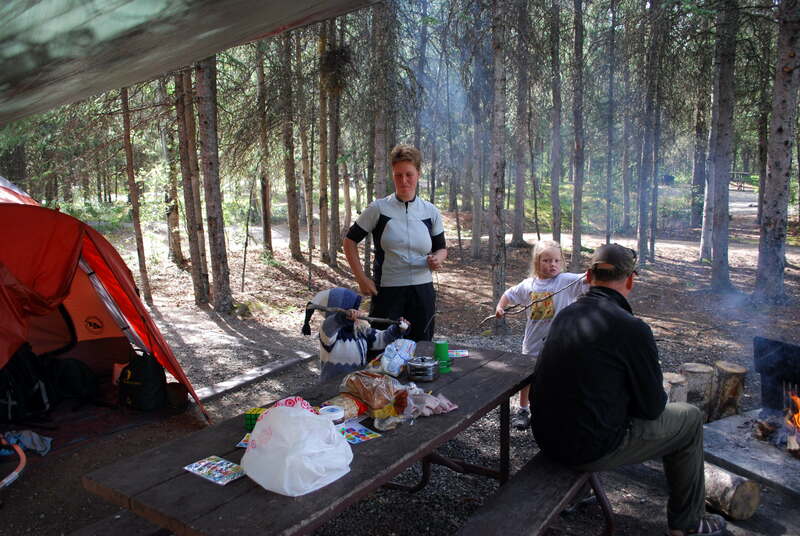 Camping, whether tent or RV, can be a great family bonding experience. There’s nothing quite like tucking a marshmallow-smeared, dirt-covered, thoroughly-exhausted kid into a sleeping bag and hearing him murmur, “This was the best day, ever.” It’s camping, of course, an opportunity to trundle children, dogs, tents, and food into Alaska’s woodland areas for a little outdoor vacationing. We’re lucky; the 49th state offers hundreds of campgrounds that range from spartan to fancy, with miles of accessible outdoor recreation suiting active young bodies and minds. My own youthful summers included nights spent in an enormous canvas tent that kept our family warm and mostly dry as we toured coastal rainforests of the Pacific Northwest. My brother and sister and I built forts in stumps, caught rainbow trout from placid alpine lakes, and played tag among vine maple trees, collapsing at night in our flannel-lined sleeping bags. That kind of enthusiasm is easy to find while camping, and it doesn’t take much to keep kids happy, even within a structured campground. 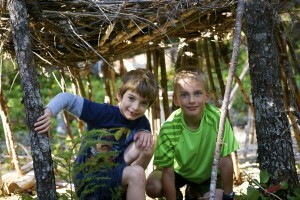 Most children are satisfied with nature’s play equipment in the form of rocks, sticks, water, or an abundance of dirt. Add ancillary activities like trails, visitor centers, or canoe excursions, and an outdoor world around them suddenly expands. 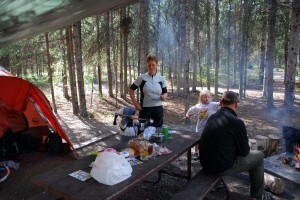 Camping can be a worthwhile family endeavor, even with very young children. Advancements in weatherproof clothing, shelters, and planning tools make spending a night or two in Alaska’s great outdoors easier than ever. An excellent resource is the Alaska Public Lands Information Centers, located in Anchorage, Fairbanks, Tok, and Ketchikan. Joanne Welch, Manager of the Anchorage center, says the goal is to provide resources parents need for a great campout experience. Those needs range from flushing toilets to scheduled activities, and thankfully, many Alaska campgrounds deliver. Try these five Alaska campground destinations, especially if you are new to camping, Alaska, or parenting. All offer a range of services and access, and most accept recreational vehicles as well. Be sure to check with land management agencies before departing from home, however, as conditions or crowds can change rather quickly in many areas. Also be aware that not all campgrounds accept reservations, and holiday weekends fill up fast, including the upcoming Memorial weekend. All is good around the wood pile while camping. 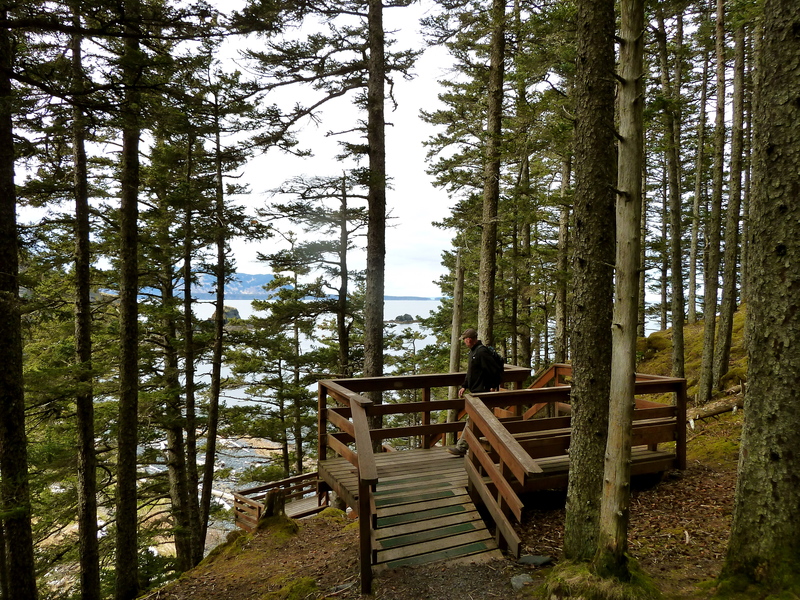 Fort Abercrombie on Kodiak Island is a magical place to camp. Riley Creek Campground, Denali National Park. Located just inside the park entrance, Riley Creek is Denali’s largest campground, with 147 sites serving both tents and RVs. Enjoy access to biking and walking trails, a small mercantile, and National Park Service visitor services. 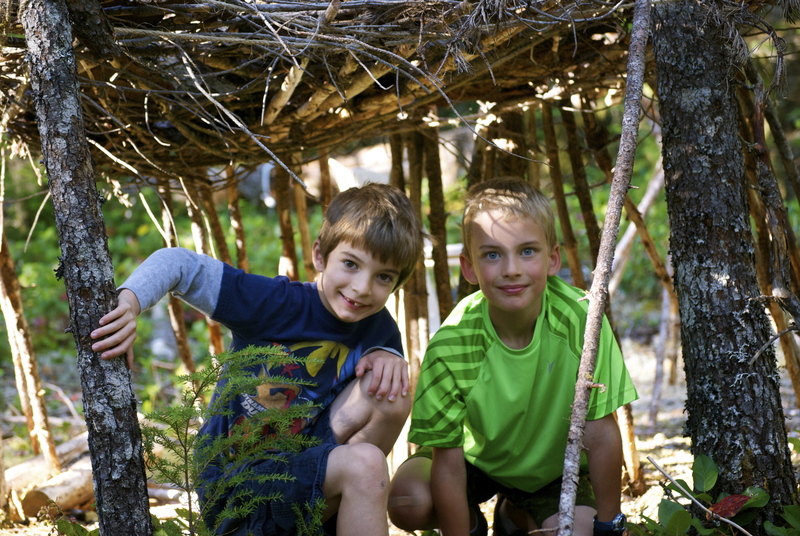 Riley Creek also hosts nightly campfire programs, a great way for kids to gain a bit of knowledge about Denali National Park’s animals and history. www.nps.gov/dena. Reservations are made through Aramark/Doyon, 800-622-7275. Nightly rates range from $14/tents, $28/large RVs. Open year-round, with no fees collected Labor Day through mid-May. 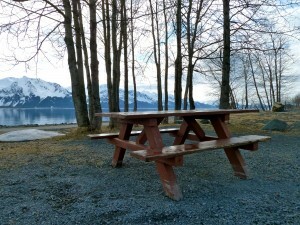 Eklutna Lake Campground, Alaska State Parks. Extremely popular with Southcentral Alaska families, Eklutna bustles from Memorial weekend through Labor Day. 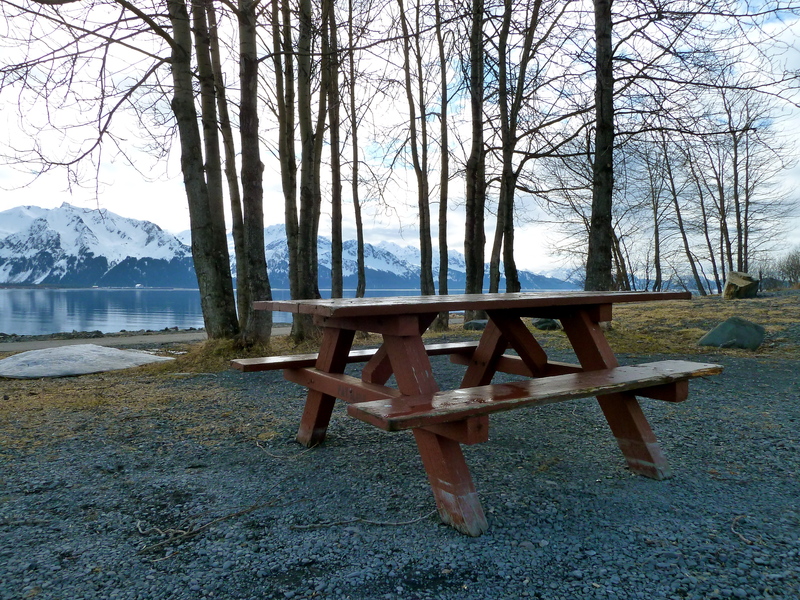 Located 26 miles from Anchorage near the Glenn Highway, with hiking, biking, kayaking, and fishing on-site, Eklutna Lake Campground has 60 spots within easy reach of activities Only the group site is available for reservations, so weekends can get crowded. It’s worth it, though, since kids have tons of fun meeting up with friends, swimming, and noshing on campfire-style dinners under towering trees. Kayaking for all ages and abilities is available through Lifetime Adventures (www.lifetimeadventures.net), and the Eklutna Lake Trail is 11 miles of cycling adventure, even for new mountain bikers. http://dnr.alaska.gov/parks/aspunits/chugach/eklutnalkcamp.htm. $10/night plus a $5/day parking fee if you don’t have an Alaska State Parks permit. Fort Abercrombie, Alaska State Parks. Located on Kodiak Island, this campground requires a bit of effort to reach, but once there, visitors receive a hands-on lesson in both history and environmental science in one very special place. Fort Abercrombie’s campground is small, with only 13 sites that can be a tight squeeze for RVs, but it’s a delightful place for tent camping. Enjoy beachcombing with the help of a state park naturalist, and be sure to visit the Kodiak Military History Museum overlooking historic WWII coastal defense structures. Listed on the national Register of Historic Places, this park and campground are well worth the extra time it takes to get there. Camping is only $10 per night, and the property is first-come, first-served. Pack up kids and caboodle and sail aboard the Alaska Marine Highway to Kodiak (www.ferryalaska.com), or fly Alaska Airlines (www.alaskaair.com) or Ravn (www.ravnalaska.com) from Anchorage. http://dnr.alaska.gov/parks/aspunits/kodiak/fortabercrombieshp.htm. Open now. Wherever you roam this summer, take along Welch’s advice in order to make the most of any camping adventure. Plan ahead. In Anchorage, the Alaska Public Lands Information Center is located at 605 West 4th Avenue. Find directions to individual campgrounds, or purchase a handy campground map for $1. www.alaskacenters.gov. If camping is a new activity for your family, consider testing outdoor mettle at a campground close to home before venturing for extended overnights. Pack well. Camping with kids means lots of outdoor time, thus, clothing should be warm, waterproof, and durable (or at least washable). Always bring boots or sandals for wading, long underwear for chilly days, and hats for warm nights. One parent I know puts her kids in snow pants at night for an extra toasty sleeping bag experience. Long sleeves are helpful against Alaska’s mosquito population as well. Cooking is half the fun. What is camping without marshmallows, camper stew, or bacon-wrapped-anything? Social media has introduced campfire cooking that rivals fine dining, but preparation is key. I chop and mix or freeze as many ingredients as possible prior to leaving home, then allow our son to assist at the camp stove or fire pit. Plan for lots and lots of eating; appetites are strong in the great outdoors. Try recipes from the Alaska From Scratch blog (http://www.alaskafromscratch.com/2012/05/28/memorial-weekend-camping-trip/) or Campside Chef (www.campsidechef.com). Set the scene. Camping is as much about atmosphere as it is location. Bring toys, card games, blank journals and crayons or markers, glow sticks for nighttime reading in the tent or RV (even in Alaska), craft supplies, and musical instruments. Turn off technology, or better yet, lock it in the car. This is family time. Keep a clean camp, storing everything in a vehicle when not in use. Practice appropriate bear-aware behavior as shared by the Alaska Department of Fish and Game (http://www.adfg.alaska.gov/index.cfm?adfg=livingwithbears.main), and ask kids to be helpers in this endeavor. Posted in Camping and tagged Alaska, Camping, Eklutna Lake, Family Travel, Fort Abercrombie, Riley Creek Campground, Tenderfoot Creek, Williwaw Creek. ← Whale-Watching with KTVA’s Daybreak: Alaskans, pay attention!